Just over a year ago, I achieved my ultimate dream: two shiny London 2012 Paralympic gold medals that were all mine to keep forever. Looking back on those incredible moments, I still can't believe that a girl from a small town in Yorkshire has gone on to do and see some truly amazing things. My journey into elite sport started at the UK School Games in Coventry in 2007. Back then I was a nervous 14-year-old heading to my first major multisport competition to give it my all in the seated discus competition. Heading to a big event when you're so young made me feel really anxious, as I was responsible for making sure I caught the coach, ate and trained at the right times, but this was all great preparation for the Paralympics; I just didn't know it then. The most daunting thing was being with so many athletes from different sports with the majority of them able bodied. At first, you're not sure where you fit in or if anyone will talk to you, but everyone is so accepting and just wants to be your friend. I remember things going round in my head constantly. Am I going to make friends? Am I going to have to sit on my own? Will I do well in competition? But you just become a team so quickly. In fact, I met three of my best friends at my first UK School Games event and we're still really close. Off the back of the 2007 Games, I got invited to the UK Athletics Talent ID day, where I started wheelchair racing. This was a massive thing for me, being spotted as someone who had potential was not only a huge boost, but the start of my Paralympic journey. In 2008, I was invited back to the UK School Games in Bristol and Bath as a wheelchair racer, only a year after I was spotted. I didn't think it could get any better. I remember being really nervous on the start line as I was up against girls that had been racing for ages and I was in a big old heavy chair, but I still won. It was the most incredible feeling because there was so many people watching and no one thought for a minute that I would come through and claim gold. In 2011 I went to the Sainsbury's School Games in Sheffield. I was stronger and felt really good. I knew how to make friends, I knew the athletes and I was ready to show everyone who was boss. But, for the first time in ages I got beaten, I went in too confident. But, looking back I needed this to push me on, make me work harder and help me to be top of my game. You suffer defeat and you're upset, but the experience you gain from this is so valuable to help you grow. You need it. I didn't realise until I got to the Paralympics, how much competing at the School Games had helped me. I was doing everything the same, living at the village, eating, sleeping, catching transport, mixing with other sports and working as a team. I'd done this all before so knew exactly how to prepare, what time to train and how to balance having fun whilst remaining focused. And all this just one year from the 2012 Games. Like all the young athletes heading to Sheffield this week, I had a dream and it was all about what I needed to help me get there. Having the opportunity to go to the Sainsbury's School Games has certainly changed my life, now it's someone else's turn. Since the Games, I've been working with the Youth Sport Trust, who has run the event for the past seven years, as an ambassador for PE and school sport. My own experiences at school coupled with the School Games has made me into the athlete that I am today, so I hope that my work with them will encourage young people across the country to be inspired to take up sport. The Sainsbury's 2013 School Games, which is supported by National Lottery funding from Sport England, and delivered by the Youth Sport Trust, is a major multisport event for the nation's talented young athletes taking place in Sheffield on September 12- 15. Sometimes it feels like the Paralympics was all just yesterday - sometimes it feels like it was a lifetime ago. A lot's happened in the last year since we were on the Paralympic podium. 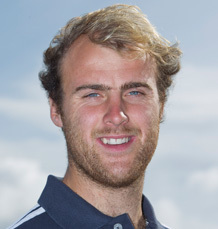 I've been doing lots of other sailing and a few other things, which has been good. I've had a nice year to chill out a bit, but now I'm fully ready and pumped to give it everything again ready for Rio in 2016 and we made a great first step last weekend when we won our fifth straight SKUD World Championship out in Ireland. I still have mixed emotions about our bronze medal. Obviously I'm very proud to have a medal from the Paralympic Games in 2012 - that's what you do it for, and in reality that's what the whole British sailing team is about. You can win five world titles and that's great, but realistically the team is about Paralympic and Olympic medals. I think our team manager Sparky would have preferred us to have won bronze and have no world titles than to have ten world titles and have come fourth at the Paralympics. 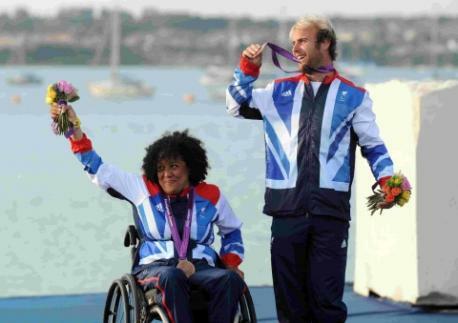 From that point of view getting a medal was fantastic as it kept the National Lottery funding alive for Paralympic sailing in the UK - and it was a great job by Helena [Lucas] for that as well. Ultimately though, I am a bit disappointed with bronze. I think we could have done better than that. Everyone asks whether we're gutted we didn't get silver on the last day, but I'm not really. I don't think it would have made any difference - at the end of the day we let the Aussies get away and take the gold medal, but that's OK. Bronze is what we got and we'll just have to try our best to make that different next time around. We knew the Paralympic regatta wasn't going to be easy, but the facts are that we're pretty much favourites in every single event we do so it's just normal to have that expectation on us going in to an event. I don't think that contributed to the pressure. The other sailors raised their game at the Games and sailed better than they have done before and we had a tough week. A few things didn't quite go our way, but it's a bronze medal and it could be worse. We've got funding through to 2016 and another chance to go and win a gold medal then. 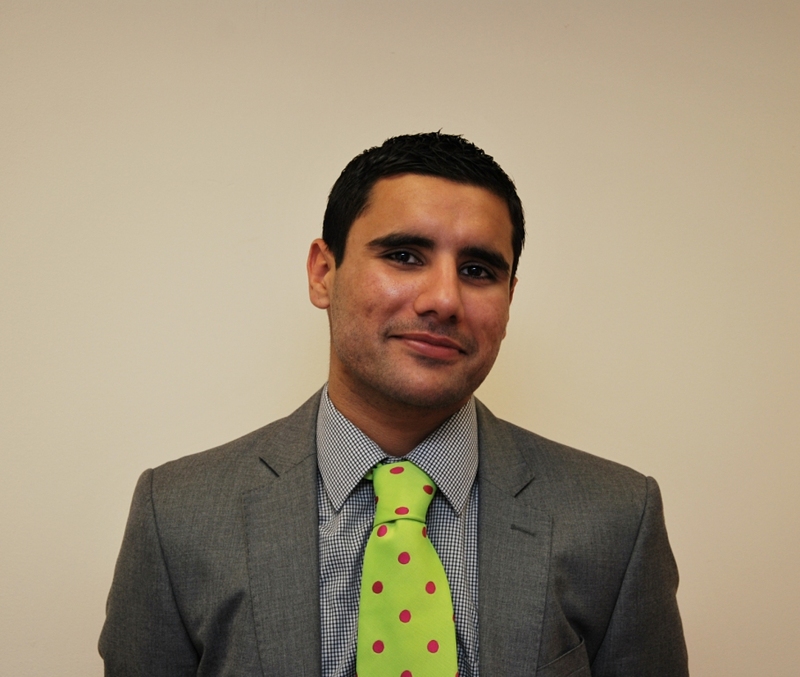 I'm sure Alex [Rickham] and I will get another shot at it and we're hopeful that we can go better. I like all sports so there were some great moments for me during the Olympic and Paralympic Games - like watching Jessica Ennis absolutely nail it. We've talked about pressure - we weren't under pressure really at all compared to her. She was the face of the Games, so she was under pressure, and she absolutely smashed it. But as we're sailors after all, I also particularly enjoyed how Luke [Patience] and Stu [Bithell] were with their silver medal, because I've known them an awfully long time. To see them win their silver medal made me think, "right, we need at a least a medal here". Watching my friends do that was pretty much the stand-out moment of the Olympics for me. During the Paralympics there were lots of awesome moments. We had a nice meal with the team after the medal ceremony which was great. I really enjoyed standing on the podium as well, obviously. It felt like all those people were there just for Alex and I. The best moment though was when we went up to London. When we went to the Bird's Nest after Beijing 2008 and watched the athletics and some other things, the stadiums were empty, all the posters had been ripped down. That's just the way it was, but in London the whole stadium was packed, the arena was packed, every other venue around the place was packed. There were what looked like millions of people around the Park, and that was when it hit home that the Paralympics had been a huge event in comparison to what it had been previously. I obviously wasn't there for the Olympics, so I don't know, but it's exactly what I imagined the Olympics would look like. That was pretty cool for me. Let's see how Rio goes in terms of the legacy for Paralympic sport and disability awareness. I know in the UK Channel 4 and the media did a great job and the Paralympics was portrayed in the way I think it should have been. That was fantastic, but we can't dwell on that forever and Rio needs to be treated just as well, if not better if possible. Let's hope that happens. We've got a gold medal now at every Championship except the Miami World Cup and the Paralympics - we'd love the full set, although I'm not really that bothered about Miami if I'm honest. We definitely want to win the Games, we know it's not going to be easy. We expect two or three more key players to come back that weren't at the recent World Championship, but we think if we sail well then the gold medal is within our grasp. I wouldn't be doing this any more if I didn't think that. Let's see if we can go and do the work and try and learn from the mistakes. Although we did go to China in 2008 we only had a few months together before it, so London was what I see as my first real crack at it. We definitely made mistakes looking back, so now we've had a chance to analyse those mistakes hopefully this time we can do it better. We've highlighted a few areas to improve on with our coach, there are areas on our boat that we can improve on and I think also the team that spends the most time in Rio from what I've heard will have an advantage. I think it's going to be quite a tricky venue tactically with the tides and the wind shifts, the land masses and the climate. Getting a good grasp on the Rio strategy and tactics will go a long way to deciding where the gold medal goes and I'm desperate to get out there so we can get ahead. 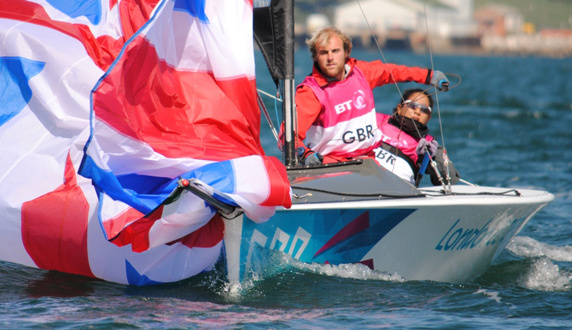 For the latest news and information from the British Sailing Team click here, like them on Facebook or follow them on Twitter. It is a year next week since the Opening Ceremony of the London 2012 Paralympic Games. 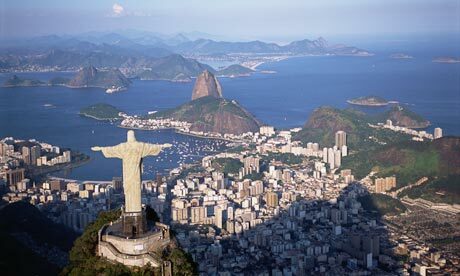 The focus of all involved may now be on other things (indeed, I am currently in Brazil planning for the Rio 2016 Games) but I doubt any of us will tire of people's desire to remember it, share their experiences and views and reflect on its impact. It was a special moment in time for the Paralympic Movement and for disability sport in general. The performances of all the athletes at the Paralympic Games made the whole country sit up and take notice, whilst the incredible support and praise for ParalympicsGB will live forever in the minds of those who received it. For 11 days, disabled people's achievements were front page news. The nation celebrated a new generation of sporting heroes. Poll after poll conducted at the time reported that non-disabled people had their perceptions of disability challenged and improved, proving what we at the BPA had long suspected - that the Paralympics is a very powerful tool to help drive change and wider social inclusion. The impact was particularly strong among younger people, and since the Games the incredible reaction to our athletes in schools has suggested a profound impact that may only truly be felt in a generation's time. Equally, one year on, no one involved should be naive enough to state that as a result of the Games the lives of disabled people now have been transformed, and the many difficult issues they face resolved. There is no "silver bullet" here, and to suggest London was it misses the point. This is a journey that will take much longer. We are nowhere near the summit, more in the foothills of the mountain that collectively we still have to climb. What the Paralympics did was set up base camp. It created an opportunity, a fantastic positive platform for debate and action that must not now be ignored. I see much that is positive. It is good that there is increasing coverage of issues that affect disabled people and increasing visibility for disabled people on mainstream media, be it Channel 4's disabled presenters presenting programmes about subjects other than the Paralympics or sport (witness Ade Adepitan's fine documentary this week on polio), or the success and acceptance of Jack Carroll on Britain's Got Talent. It is also welcome that some of our athletes have chosen to contribute to the debate and use their newly acquired profile to explain some of the challenges that they face in daily life and call for change. At the same time, we should be clear that is not their job and we should respect the right of others to continue to focus solely on their sport and let their performances do the talking. The logic that suggests that someone's ability to swim, ride or run fast automatically qualifies them for political discourse is flawed. That same caveat applies to the British Paralympic Association too. 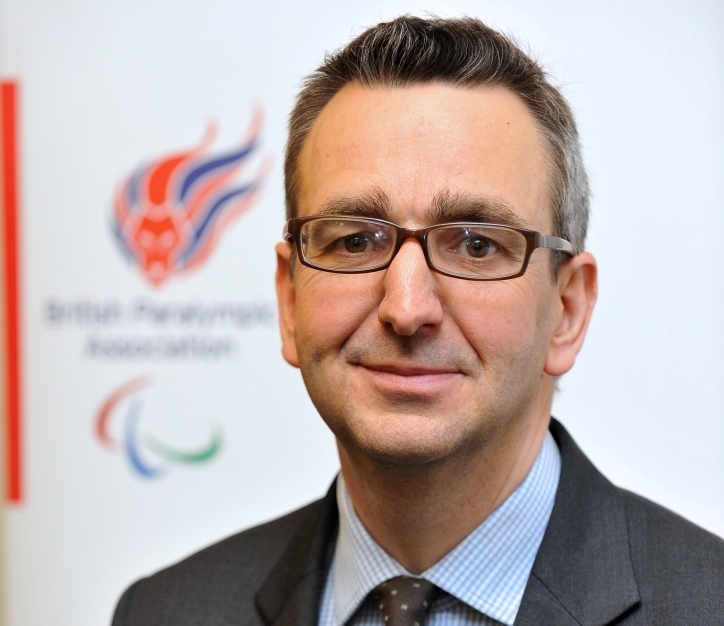 Ask me as chief executive what our major contribution to the legacy debate should be and I will say primarily it is to continue to focus on the winning of medals at the Paralympic Games. That will continue to create the spotlight, the media attention, the positive role models and the challenge to perception that can help drive many other agendas. We can and should also involve ourselves in promoting the wider Paralympic Movement, to provide opportunities for its power to be unleashed. Alongside fantastic events such as the recent Sainsbury's Anniversary Games and some good profile for events like the IPC World Athletics and Swimming Championships in 2013, we have sought to create a platform for change with two high profile events. The first is "National Paralympic Day", a fantastic celebratory event being held for the first time on 7 September this year, with elite level international competition in four sports on the Queen Elizabeth Olympic Park supplementing educational and promotional activity in schools and disability sports clubs across the UK. Our aim is to re-create some of the wonder of London and through that remind everyone of all the positive things they witnessed and felt during those Games. National Paralympic Day will I hope continue to do this annual basis through to Rio. The other is the "ParalympicsGB Sports Fest" concept I announced during London 2012 - a series of sports festivals based on the inspiration of the Games and our athletes to seek to introduce sport to disabled people and encourage them to get involved. A two day event, we have held two so far, with the first In Surrey last December attracting over 1,000 people through the door and the second in Sheffield in April nearly 700. Sports Fest has created a great platform. More than anything we have seen a massive increase in people wanting to find out more. This is a crucial step for disability sport - it is important that people understand that disability sport isn't just about the Paralympics, but that instead there is an ever-increasing number of opportunities to play it recreationally. This shift is confirmed by the evidence of our members. 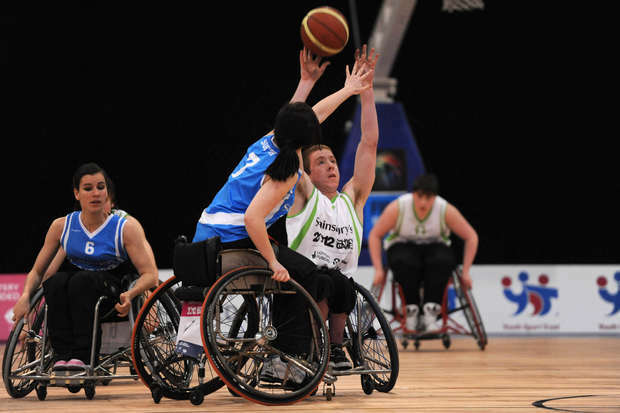 British Wheelchair Basketball, for example, has seen a 25 per cent increase in people wanting to play at their local club and disability specific sports like wheelchair rugby and boccia has also reported a substantial growth in the number of people wanting to play. All of this shows that the Games inspired and encouraged some disabled people to get active - against a backdrop where in general terms disabled people have lower income levels and yet higher living costs than non-disabled people and in the current economic climate are feeling the squeeze more than most. I do believe the platform for positive debate and change does exist therefore as a result of London. I am under no illusion that disabled people face numerous barriers and know that the BPA is not the organisation that can fix all of those. There is much good work going on by many other numerous organisations - sporting and non sporting - to try to address these: for example the Club Toolkit developed since the Games by the English Federation of Disability Sport (EFDS) and the brokering of the Sainsbury's Active Kids for All partnership with the Home Nation Disability Sport Organisations, providing disability sport inclusion training for PE teachers in schools across the UK. We should not underestimate how far we still have to go and no doubt others in the sector will use the London anniversary to highlight weaknesses and areas needing urgent reform and change. While these exist, I hope that the positive platform we have collectively created and the hard work that went into it will be acknowledged. London 2012 was amazing and very special. One year on we should remember it that way. With the IPC Athletics World Championships about to begin in just three days in Lyon, France, you hopefully have enough storylines to peak your interest by now. But if not, and if you're looking for more than just names next to world records on a stat sheet, here are 20 reasons to watch the Championships based more on the personalities and back stories of the athletes taking part. 1. Evan O'Hanlon and Scott Reardon: Grab your coffee as you read through this blog because we're starting with these two Australian sprinters coached by Iryna Dvoskina, otherwise known as the "coffee bros". The coffee connoisseurs always have a cup before they race. Watch out for them in the T38 and T42 classes, respectively. 2. Mohamed Chida: Speaking of O'Hanlon, Chida will be his main challenger in the 400 metres T38. Chida was formerly a volunteer for NPC Tunisia before being diagnosed with cerebral palsy after a car accident. 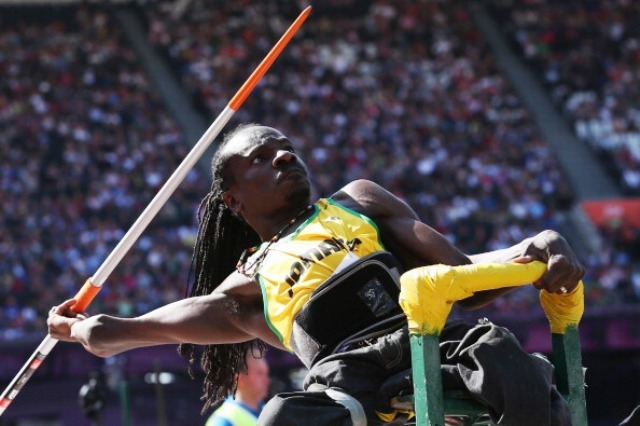 He then turned into a Para-star on the track in no time, making the podium at London 2012. 3. Hannah Cockroft: The family of the double-Paralympic champion have been just as entertaining as the wheelchair racer herself. Her father, Graham, is notoriously known for always being in the stands and being the parent any top athlete would dream to have. 4. "The Beast": The nickname given to top US wheelchair racer Tatyana McFadden is no joke. She is always seen smiling and laughing off the track, but when she's at the start line, she looks like an animal ready to pounce. The Beast will go for six golds in Lyon. 5. Bermuda's rising star: Jessica Cooper Lewis just took up athletics a few years ago after being inspired by the US' Anjali Forber-Pratt, who came to visit her on the island. 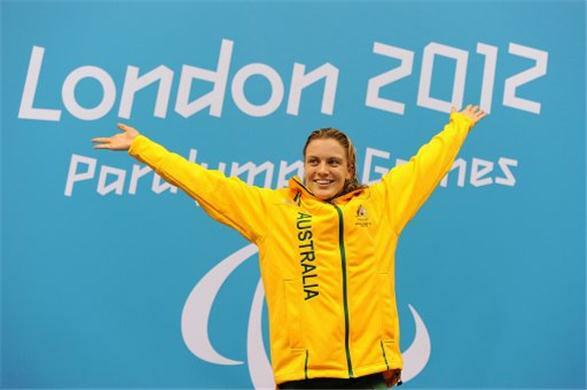 Within no time, she's become a star in her home country and has increased visibility for the Paralympic Movement there. 6. "Swiss Silver Bullet": Marcel Hug, the favourite in the men's T54 wheelchair division, is known for his humble, laid-back approach among the media. He's almost too polite. But if he finally wins multiple golds, will we see a different, more verbose Hug? 7. "Blade Babe": If we're rolling off nicknames, we can't miss this one. Dutch sprint sensation Marlou van Rhijn has quickly become one of the world's most marketable Para-athletes. With Nike and Ottobock behind her already, can she pick up more sponsors with top performances in Lyon? 8. Rwanda's rise: Coaches from Agitos Foundation athletics workshops in Rwanda will be present in Lyon – showcasing a true sidelines story of a journey form grassroots to the elite. 9. Paralympic pick-up lines and Taylor Swift: American long jumper Lex Gillette and wheelchair racer Brian Siemann are both talented outside of competition – Gillette for his notorious pick-up lines blog and Siemann for his impersonations of the singing superstar. What would happen if you combined their talents in Lyon? 10. Alphanso Cunningham: When you think of Jamaica, reggae music, beaches and Usain Bolt probably comes to mind. But this Paralympic javelin champion has single handedly started to raise the profile of Para-athletics in the region and will have a lot of eyes on him in Lyon. 11. Na Mi's wait: China's two-time defending Paralympic champion in the discus and shot put F37 events admits she cannot handle the lead-up to a competition, as she's always over-anxious. What will she be doing in Lyon before taking to the field? 12. What comes after a house: Namibia's Johanna Benson received a house in Walvis Bay after becoming the first female from her country to win a Paralympic gold at London 2012. She's on even better form heading into Lyon. So what will she get if she wins another T37 title? 13. 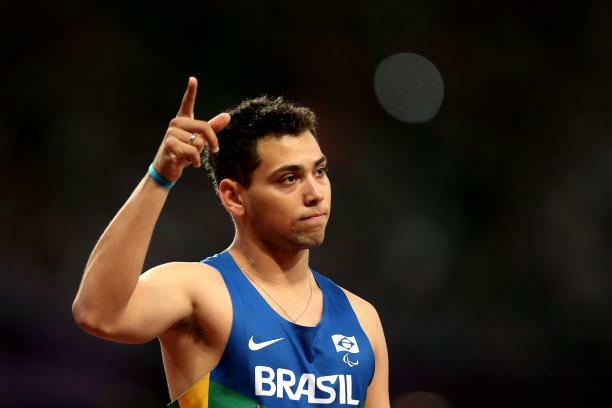 Alan Fonteles Oliveira: Is all the hype around the Brazilian Paralympic champion simply just hype, or is he for real? It's finally time to see whether his London 2012 performance was a fluke or if he can truly be called one of the Movement's biggest stars on the road to Rio 2016. Funny thing is, he's had more media coverage in Britain than in his home country. 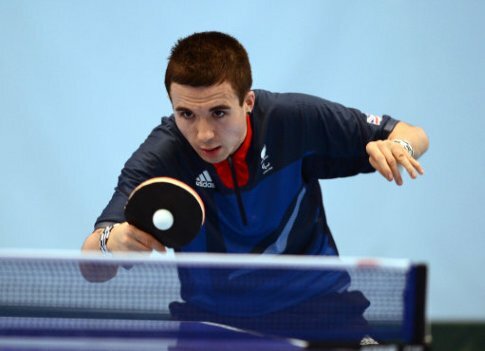 Will Brazil's Alan Fonteles Oliveira add the world title to his Paralympic gold at London 2012? 14. Ilse Hayes: Perhaps the top sprinter in Lyon you've never heard of, South Africa's visually impaired star used to compete in tennis and gymnastics before her loss of vision forced her to quit. She won't be quitting her athletics career, though, and could be the world's next Terezinha Guilhermina. 15. April Holmes: Is this American superstar sprinter past her prime, or will the T44 athlete continue on to the Rio Games? 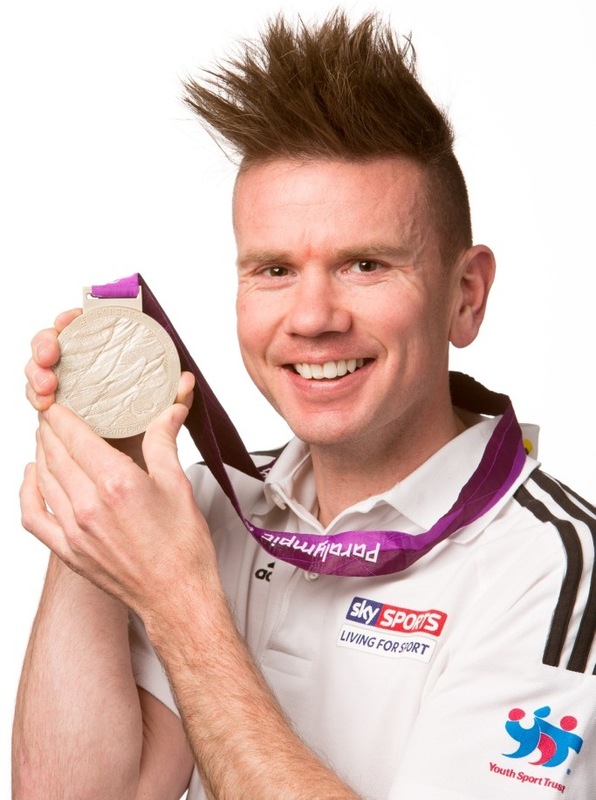 Lyon 2013 should give us a good indication for Holmes, who is arguably one of the greatest public speakers in the Paralympic Movement. 16. Tunnel vision: If you've driven through the Tyne tunnels in northeast England lately, you may have noticed they've had a name change. The southbound tunnel was named Josh Cassidy after the Canadian T54 wheelchair racer, whose sights are set only on gold in Lyon. He is also a Toronto 2015 ambassador. 17. Kota Hokinoue: As one of Cassidy's competitors in the T54 class, Hokinoue is one of the athletes from the Far East who likes to document his journey. There's not enough space here to tell his story, but head on over to his website for more information. 18. California dreamin': France's Arnaud Assoumani, a double silver medallist at London 2012 and a member of the IPC Athletes' Council, has spent the winter training in California, US. Now he's headed home for the World Championships on his home lawn. Will the time away to maintain his focus pay off? 19. Rudy Garcia-Tolson: Speaking of California, this American from the golden state is now a couple of years into his transition from a Paralympic champion swimmer to a T42 sprinter. If you're fan of the word "inspiration", you may want to start following his journey on Twitter. 20. Jonnie Peacock and Richard Browne: Some people are saying the British and American 100m T44 sprinters are having a war of words on Twitter, while others argue they appear as good friends just sparking conversation. What's your take, and what will be the outcome in Lyon? Craig Spence: How low can the 100m world record go? 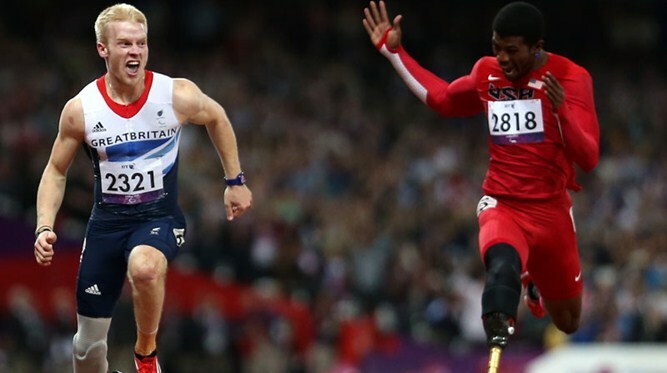 Has there ever been a more unbelievable and amazing seven days for amputee sprinting? First, America's Richard Browne runs an unofficial 10.85sec to equal Brit Jonnie Peacock's 11-month-old 100m T44 world record. A Peacock tweet then sparks a war of words and, whilst the two rivals are both not looking, Brazil's T43 sprinter Alan Fonteles Oliveira obliterates the history books running 10.77 in Berlin, Germany, to become the fastest leg amputee sprinter on the planet. Not to be outdone, Dutch sprinter Marlou van Rhijn posts a scorching 12.96 seconds to become the fastest female sprinter on blades of all time. All of which makes you think, "How fast can this golden generation of athletes go?" Well, Richard Browne thinks he does. Last week, I interviewed Browne who broke onto the world scene last year taking Paralympic silver behind Peacock in that memorable 100m T43/44 race in the Olympic Stadium. He was in a superb mood and was a great interviewee because of his self-confidence, openness and sheer honesty. He told me that he thought the future of amputee sprinting had never been brighter with him and Peacock set to dominate for years to come. With sprinters not maturing fully until their mid-20s, Browne believes the target should be to run under 10.5 seconds and, after seeing Oliveira's time at the weekend, few should doubt him. He also thinks the long-term target should be to run 10 flat. This got me thinking, so I started to look at the history books for the evolution of the 100m world records in both Para-athletics and the able-bodied equivalent. At the Athens 2004 Paralympics, American T44 sprinter Marlon Shirley won 100m gold with a time of 11.08 seconds to become the world's fastest amputee sprinter. 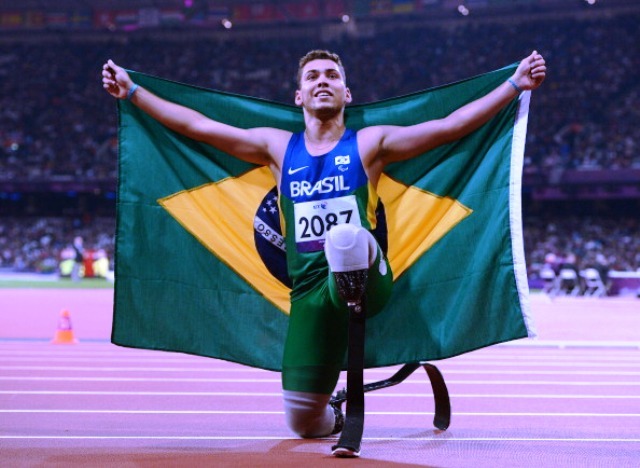 Oliveira now holds that title after posting 10.77, which means that the world record for the fastest amputee on the planet has come down 0.31 seconds in just nine years. It has taken nearly three times as long for the able-bodied equivalent to do the same with the record improving by 0.39 seconds in the last 26 years. In 1983, Carl Lewis held the world record with 9.97 seconds, whilst Usain Bolt's current landmark stands at 9.58 seconds, set in August 2009. Clearly, para-athletes are getting faster and faster each season and the world record is improving at a faster rate than the able-bodied sprinters. I'm not stupid enough to think that the para-athletics 100m record will continue to fall at the same rate forever. However, I think it will continue to drop for a while before it starts to plateau out. You have to remember that it is only in recent years that many of the world's top para-athletes have turned full-time so I think the benefits of such punishing training regimes will continue to be reaped for a long while yet in terms of times. I also fully agree with Browne. I think 10.5 seconds is certainly possible, maybe not this year, but very likely before the Rio 2016 Paralympic Games. Just look at the ages of the leading stars – Browne is 21 whilst Peacock and Oliveira are both just 20 – the future looks unbelievably bright. Others are starting to recognise it too. 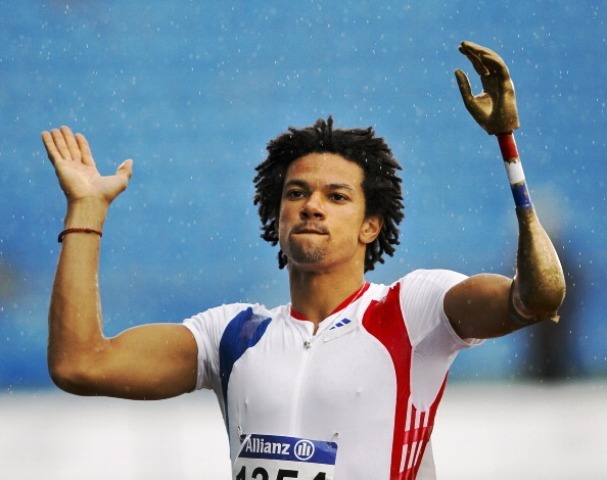 One magazine recently named Oliveira, the Paralympic 200m T43/44 champion, as the world's 17th most marketable athlete. And, should she continue on her current form, then I expect van Rhijn to be knocking on the door of that list very soon. Van Rhijn has everything on her side. She is young - just 21 years old - holds the 100m, 200m and 400m world records, is a great media speaker and is nicknamed the "Blade Babe" for a reason. I suspect her world record of 12.96 seconds will not stand for long. At next month's IPC Athletics World Championships in Lyon, France, she will face her rival Marie-Amelie le Fur, the French T44 athlete who beat her to 100m gold last year in London. With the two of them pushing each other to their absolute limits, I expect van Rhijn to be in the 12.8s by the end of the season. One thing is for sure, amputee sprinting has never been in better health and with the age profile of the world's leading athletes, it is only going to get healthier. To finish I'd like to wish Richard Browne a speedy recovery. He's been suffering from a knee injury of late which flared up again at the US trials. Sport needs characters like him, and I hope he is fit enough to line up in Lyon next month as the prospect of him, Peacock and Oliveira going head-to-head over 100m is absolutely mouth-watering. "Nothing can really compare with the elation of competing for your country at a Paralympic Games and I am living proof that with determination and sacrifice you can fulfil your dream." These were some of the inspiring words from ParalympicsGB silver medal hand-cyclist Karen Darke used to help launch a major talent recruitment scheme in the UK last week. Karen only took up cycling after Beijing, inspired by the ParalympicsGB team there, yet was still able to make the podium in London due to her inherent ability and incredible dedication within the GB Para-Cycling world class programme. As we turn our attention to Rio 2016 and seek to maximise GB medal potential there - against increasing competition from across the globe- the quote also clearly demonstrates how important London now is in defining our ambition and what we can achieve. Because it was London and the outstanding performances of our athletes there, more than any Games before, which showed the world what is possible. The recruitment programme - called "Paralympic Potential: Bring on Brazil" - is notable also for the way that the main organisations in the UK are working better together since London. It is a formal three-way partnership between the British Paralympic Association (BPA), UK Sport and the English Institute of Sport (EIS) which will play to each body's strengths and responsibilities. In turn it will ensure that the ultimate beneficiaries of any Talent ID programme, the National Governing Bodies, are well provided with candidate athletes for their world class programmes for Rio (and beyond) in a way that can only complement and enhance their existing activity. A clear example of where this is happening better than before is with the brand itself. After London, there is far greater excitement in, knowledge of and desire for disability sport - and much of that is captured in a public sense in the single word "Paralympic". It is the word that drives a memory of London and a special time for the British nation. It also now can be the "stardust" that can be sprinkled on activity and events to engender much higher engagement levels. So the BPA was keen to be involved and be "permissive" with the brand in this way with the UK Sport and EIS, because it is not only the end product of athletes for Rio that is vitally important but the initial inspiration. This permissiveness was also at the heart of our second ParalympicsGB Sports Fest in Sheffield at the end of April. 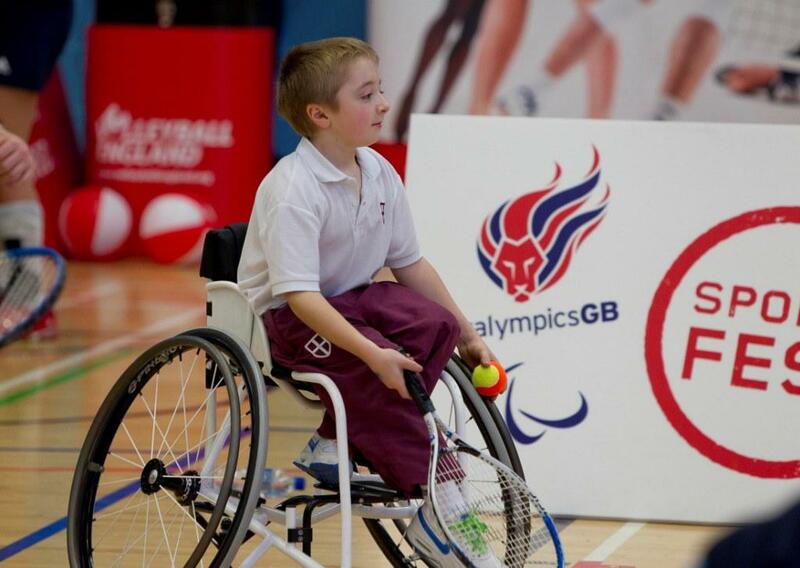 With every sport and many of our community sport partners present, we opened to the door to well over 700 people in the two days and all the NGBs there again said that not only had they allowed many disabled people to try a sport for the first time, they also unearthed some potential gems to polish for the future. What both Sports Fest and the Paralympic Potential programme have in common is that the brand is used in a 'multi-sport' context, one that is based on using its power and inspiration to drive opportunity across the movement as a whole. This is very much part of the BPA "Maximising Momentum" Strategic Plan for the Rio Cycle - where one of our priorities states our desire "To Support the Development of Disability Sport Opportunities Across the UK". We do not deliver athlete development programmes, that is not our role. But we can help drive the actions of others, and especially the sports, by putting the inspirational impact of the Paralympics, which is our gift to give, at the heart of the process. That is why, on the other side of the coin, it equally needs to be protected. The danger that we face is that, for perhaps understandable reasons, the word 'Paralympic' becomes a generic, catch-all term for all disability sport activity at any level: the "Hoover" or "Xerox" equivalent. It isn't and mustn't be. Not only do our athletes care deeply that the right to be called a "Paralympian" must be earned (I remember vividly last year the now double gold superstar Hannah Cockcroft saying she was not a Paralympian until she had pulled on the vest and competed for her country), it also does a disservice to the Games themselves. You never hear non-disabled single sport competitions, from weekend club matches to World Championships, being described as "Olympic". The same must apply in the world of disabled sport. It is a multi-sport context where it works, where the captured excitement of London can drive more people to try sport, and now also hopefully shoot for the same kind of dream that Karen Darke, and indeed Hannah Cockcroft and Jonnie Peacock among others, had after Beijing. Our "Paralympic Potential" partnership is a great way to show momentum, for the sports and the movement, but most of all for the athletes themselves. The New Year started off by eating grapes, in fact 12 of them, one for each chime of the clock ringing in the New Year. I was in Majorca and this was a Spanish tradition to bring good luck. It was nice to get back into a routine of training and have no distractions. Also the weather was pretty good compared to back in the UK and I managed to get ten quality days of training in, covering a good number of miles and a plenty of climbing to boot. Back in the UK I continued race in the Manchester Regional Track League, and enjoyed getting back into the competitive side of bike riding, although the endurance side of racing has never been my speciality. Towards the end of January I attended the London Bike Show and, although there was quite a bit of snow disrupting travel, I managed to get there and back in one piece and without too many delays. The show was good fun, signing autographs on the British Cycling stand, and then doing a half hour interview on the stage with. The Bike Show was also a good chance to chat to manufacturers and distributers about the coming year and meet the industry insiders. The start of February saw me heading north to Glasgow, to ride at the final round of the Revolution track series, and the first time the series had ventured away from Manchester. Once again I was riding for Face Partnership with the endurance riders. I didn't quite get off to as good as start as in the first round as I finished sixth in the flying lap, and event I'd managed a second in October. The Madison kilo was a much better ride than the first round, though, riding with Jake Ragan we managed to post a sub-60 second kilo and good enough to take the lead at the halfway point. In the end we ended up fifth, but the time a placing was an improvement from previous rounds. The bunch races went pretty well this time around, although I didn't make any of the top ten places I had much stronger rides than in the October rounds and was more aware of what was going on around me. However, I still need some more racing and training to properly get in the mix and contest the finish sprints. With unsettled weather conditions and having spent two days straight on the turbo, I was online booking another camp out in Majorca, this time it was only for seven days, but it was long enough to continue working on the base fitness, and clocking in the hours. I was staying in the Playa de Palma, and it was pretty much a cycling hotel, with the hotel filled with cyclists. I was joined on a number of rides by fellow Paralympian Colin Lynch, who was staying in the same hotel. I also bumped into one of my main rivals and good friend, Jiri Jezek, who was staying a few hundred metres away in another hotel. I joined him out on a big group ride where we discussed the issues we're having in our sport at the moment. It was good to get out riding with these guys as I do a lot of my training on my own, and when you're on longer road rides it's good to have someone there with you going through the same miles and hours. My fitness was on the way up, and I set a few personal bests up some of the shorter climbs on the island I use to test myself. The camp wasn't without a few hiccups though, as on the second day I was knocked off by a car, which in itself was pretty shocking, but I was incredibly lucky and managed to escape with a few cuts and bruises. Thankfully, it didn't affect my training and I was able to finish the week strongly. Once back home it was off to another bike show, this time the Bike and Triathlon show in Manchester. It was a smaller event than the one in London, but certainly felt like I signed more autographs this time around. With my fitness going in the right direction, it was time to test myself out on the road, and I was set to race in the Eddie Soens Classic at Aintree race course. It was the first race of the season for most people and historically has been cold and wet, but with 250 riders from all categories of racing it was going to be organised chaos. The race set off at a good speed and I was off with the category two riders in the group just ahead of the category one's and elites. It wasn't long before we were caught and the bunch was 250 riders strong and shortly after that the first crash happened, although fortunately I managed to avoid it. but with the rider on the ground each lap the bunch would have to squeeze past before regrouping. A few more laps in and there was another crash, this time I wasn't so lucky and got caught the wrong side of it. After not quite making it back on, I ended up riding to the end of the race in a small group, and with the peloton out of our range it turned into a strong training ride. Still it was pretty enjoyable, and my legs felt pretty good throughout. 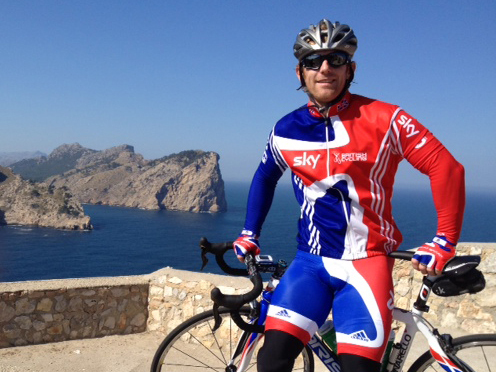 Then it was back to Majorca again, this time with almost all the GB Para-Cycling team. It was one of the most relaxed camps I've been on, although the craziest weather conditions. We had sun, rain, wind, snow, and hail, but all in all it didn't stop me getting in all the training I had planned. This camp was about adding intensity to my rides, and working on specifics that'll hopefully convert into more speed on the track during my kilo. Well that's spring done and dusted and now it's into the meaty part of my training block, as I aim to make England's team for the 2014 Commonwealth Games in Glasgow. 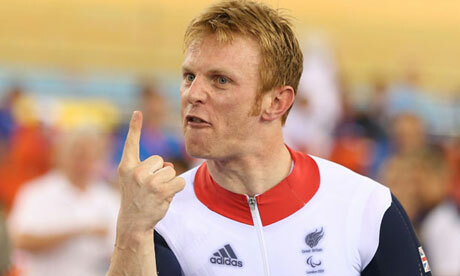 Jody Cundy won a bronze medal at the London 2012 Paralympic Games in the 4km pursuit C4. 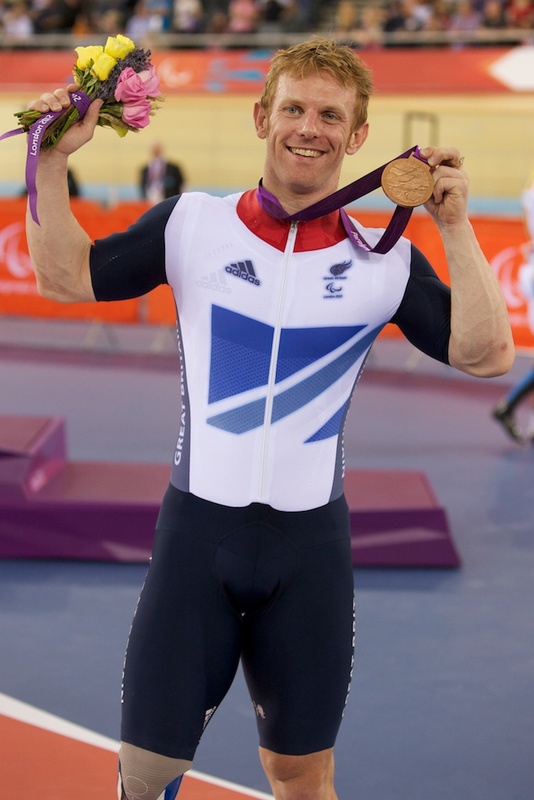 He now has eight Paralympic medals, five of which are gold, from cycling and swimming. For someone whose only previous experience was the truly unique one of a home summer Games at London 2012, a week spent attending the Sochi 2014 Organising Committee's Paralympic Games Chef De Mission Briefing Seminar was always going to contain some new, and extreme, moments. As I reflect on the time just gone, however, I am not sure I was quite prepared for just how exciting and different it would be. 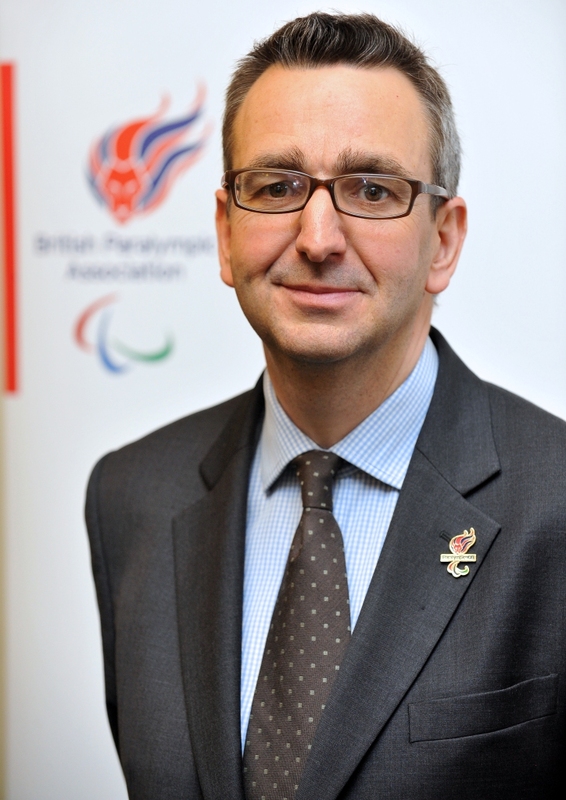 Or how much, as the chief executive of the British Paralympic Association (BPA), I am now looking forward to my first Winter Games. There are things that were very different. The geography, environment and language of course - a significant factor for us now after the one-off nature of a home Games and very much the norm as we look past Sochi to Rio, Pyeongchang and beyond. 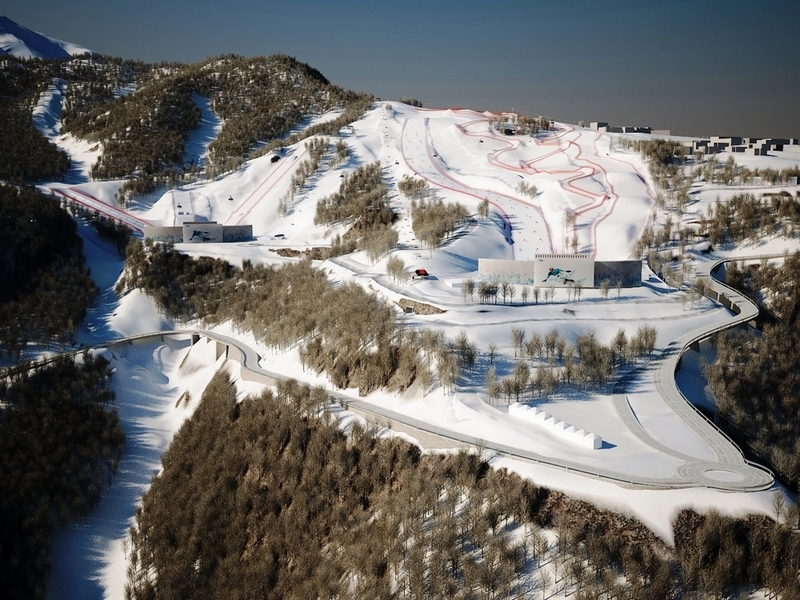 Sochi is a challenging environment and, like almost all Winter Games, is split between the "coastal" ice-based venues and the snow-based competition an hour's drive away in the mountain resort of Rosa Khutor. Added to that is the amazing development of the region, be it new roads, rail and airport and a significant building programme now in full swing. I was perhaps, after London, not prepared for the relative lack of readiness witnessed as we toured the various sites. Whilst several of the major stadia and arenas are complete, of which more later, there is still a major amount of building work to be done - not least at the mountain and coastal athlete villages, but also the transport links and surrounding areas that are being transformed utterly as a result of the Games. What I was prepared for, was the excellence of the completed venues. We saw some great evidence of world class arenas with equally world class accessibility – the Curling rink - the "Ice Cube" - has already hosted a Wheelchair World Championships this year whilst the Ice and Sledge Hockey arena – the "Shayba" (or "Puck") is totally finished and impressive. Meanwhile, in the mountains, the ski routes of Rosa Khutor have passed several key tests, not least with the recent disability skiing World Cup event. I was also ready for the great commitment, energy and attentiveness of the Sochi 2014 team (ably supported by the IPC's own staff, there in numbers). There are a number of "foreign" experts working with a very dedicated Russian Organising Committee and whilst the working style is obviously different to that of London 2012 (with perhaps a rather less rigid approach to deadlines a good example) they were knowledgeable, extremely friendly and very proud of the Games they are going to put on. Led by the impressive and approachable Dmitry Chernyshenko, who showed his huge personal commitment to the Paralympic Games by being present on the platform throughout the week. Last of all, I was not surprised by the warmth of the engagement with and the expertise demonstrated by our colleagues from across the Paralympic family. 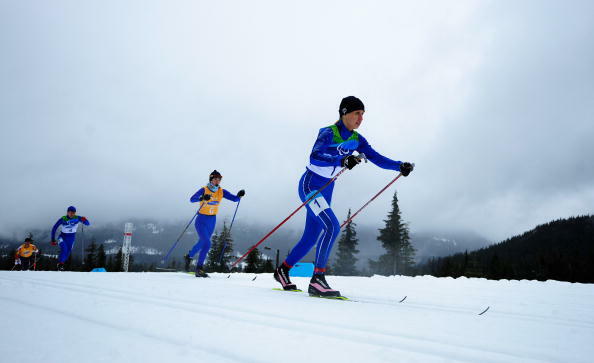 A Winter games is not a huge event – only some 700 athletes from around 45 nations take part, and the line-up is dominated by countries from Europe, North America and East Asia. But it is approached by every nation with the same commitment to excellence and determination to succeed that characterises the summer Games. Whether it is Canada with its team of nearly 50 athletes or New Zealand with just two or three, the scrutiny of the plans and the rigour of the questioning was the same. Impressive stuff. ParalympicsGB will be between 12 and 27 strong in Sochi, depending on the ability of our sledge hockey team to defy the odds in a final qualifier later this year and make it to the Games (having given themselves every chance with their magnificent bronze at the B Pool World Championships in Japan last week). We will have our wheelchair curling team, safely qualified and looking to replicate the medal won in Turin in 2006. And we will have around six or seven alpine skiers too, depending on qualification. That mix includes two visually impaired skiers who have won World Championship and World Cup medals in the past few weeks, Kelly Gallagher (with guide Charlotte Evans) and Jade Etherington (with guide John Clarke). Their recent success is no guarantee and it would be wrong to put too much store on it at this time, but none the less it does show the potential we have to bring home medals next year after a blank was drawn in Vancouver. Certainly everything we considered and planned for this week was treated with exactly the same attention and seriousness as the 300 athlete, 20 sport strong team we took to London. ParalympicsGB will be led in Sochi by Chef de Mission Penny Briscoe and, supported by Games Services Manager Phil Smith, she was on fine form at the Seminar: driving our agenda, scrutinising every detail and questioning the organisers on anything that didn't meet her ambitions. Penny embodies a belief in being world-class in support of our athletes, and making sure that everyone who pulls on a British vest is given the chance to be the very best they can be. That will be our approach in Russia next year - the scale of the event and our athlete cohort matters nothing compared to our desire to maximise this moment and our support for our athletes. As someone now with only the smallest taste of what is in store, with a knowledge of what an incredible region of the world it is we are going to and what great people will be hosting us, I can't wait. After the success of both the Paralympic and Olympic Games in 2012, my life has changed quite dramatically. The profile of the Games and the interviews and appearances afterwards have led to myself and other Paralympic athletes being more widely recognised than ever before. Paralympic sports are still in the public eye and I want to do my part to ensure that it stays this way. Six months on from the Games, I feel that sport has brought people of all ages and abilities together and I feel that the Olympic legacy of "inspiring a generation" has really made an impact on young people's lives. When the opportunity arose for me last year to be involved with the Youth Sport Trust on Sky Sports Living for Sport, I saw it as a chance to continue this legacy. When I visit schools it is inspirational to me to see so many pupils getting involved with sport, and, in particular, Parasports, which many of the pupils hadn't heard of before the Games. I am so proud to have the opportunity to use my story to inspire the young people I meet in schools. I have noticed a real shift in the students' attitudes and motivations towards sport since the Games. Having seen the different events on television and in the media they are much more inspired and keen to get involved with new sports. In my experience they also seem to have a great understanding of the importance of goals and ambition in achieving dreams, whether that be in sport or not. At first, after spending 20 years riding a bike, I was quite unsure about my ability to mentor young people and help them to develop life skills. However, as my school visits continue, I have found that using my story of overcoming adversity to succeed is inspirational to the students I meet who may be facing challenges of their own. I also take the time to explain my disability to the young people I meet. As a child I used to try to hide my condition from others but this wasn't necessarily the best thing to do. I hope that by talking about myself and how I overcame problems in my life I can encourage other young people with disabilities to share their experiences with others. I aim to use my experiences as a professional athlete, and the journey I went on to achieve my goals, to encourage the young people I meet in schools to take up a new sport and see where it leads them. Sport really can change lives. I am now back in full time training to achieve my dream of competing at Rio 2016 and winning more medals for the country. I hope I also continue to can motivate the young people I meet to aspire and achieve their own goals. 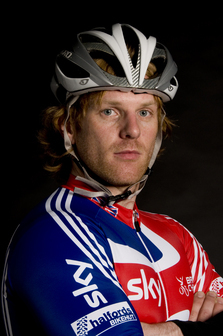 Rik Waddon is a Paralympic silver medallist cyclist and uses his inspirational sporting journey to inspire others as an Athlete Mentor for Sky Sports Living for Sport, a free secondary school initiative delivered in partnership with the Youth Sport Trust. The London 2012 Olympic and Paralympic Games were an astounding success and in the case of my sport, archery, there has been a definite increase in people interested in the sport as a result. Archery's increased popularity is clear to see at my club, Severn Archers, in Upton upon Severn, Worcestershire. When there is the option at archery events for spectators to have a go themselves this is always popular. However, since the Games took place there is now a constant stream of enthusiastic attendees keen to try their hand at the sport since seeing it televised during London 2012. 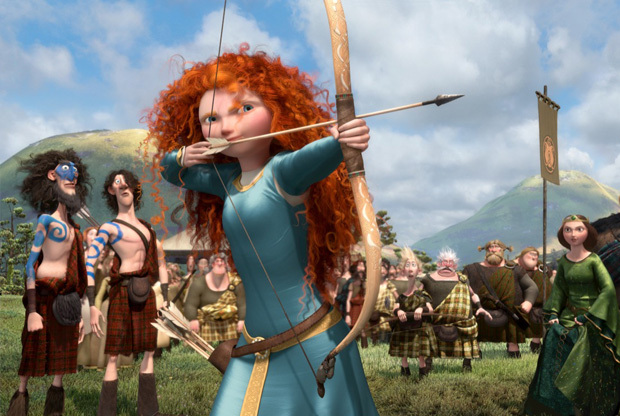 The new Disney film Brave and the ongoing popularity of The Hunger Games movie franchise has also helped! Working as an Athlete Mentor with the Youth Sport Trust on Sky Sports Living for Sport, I have the fantastic opportunity to go into schools and work with students on sport led projects. I have been an Athlete Mentor for a couple of years now, however, over the past few months I have noticed that the attitudes of the students I meet in schools have changed towards disability as Paralympic athletes have become more well-known. Now, if I show a video clip in a school session highlighting some of the accomplishments of Paralympians from 2012, the athletes are instantly recognised and met with positive responses from the students. The Paralympic legacy has also opened people up to disability and the students are more comfortable asking questions. In my experience, this has enabled students with their own disabilities or challenges to be more willing to talk about them and to focus on what they can do, opposed to what they cannot. Many of the schools registered for the initiative have now integrated Parasports into their project. It is now not uncommon to see the students playing sports such as boccia, new age curling or seated volleyball – some of which were never heard of two years ago. This has increased the opportunities for pupils with disabilities in mainstream education to participate equally in sporting activities with their non-disabled classmates. My 2012 Paralympic experience and the memories I have will stay with me forever. We are six months on from the Games and I feel that people are still as inspired to get more involved in sport. The pupils and teachers I meet are always keen to hold my silver medal and to talk about their favourite memories from the event. Athletes training for an Olympic or Paralympic Games work in a four-year cycle, so, with Rio 2016 now only three and a half years away, I am back to training hard in the hope of having the change again to compete on the best "stage" in the world and to represent Great Britain at my third Paralympic Games. After winning a bronze at Beijing in 2008 and a silver at London 2012, I am aiming to "complete the set" and win a Paralympic gold in Rio 2016, using all I have learnt on my journey to make this possible. 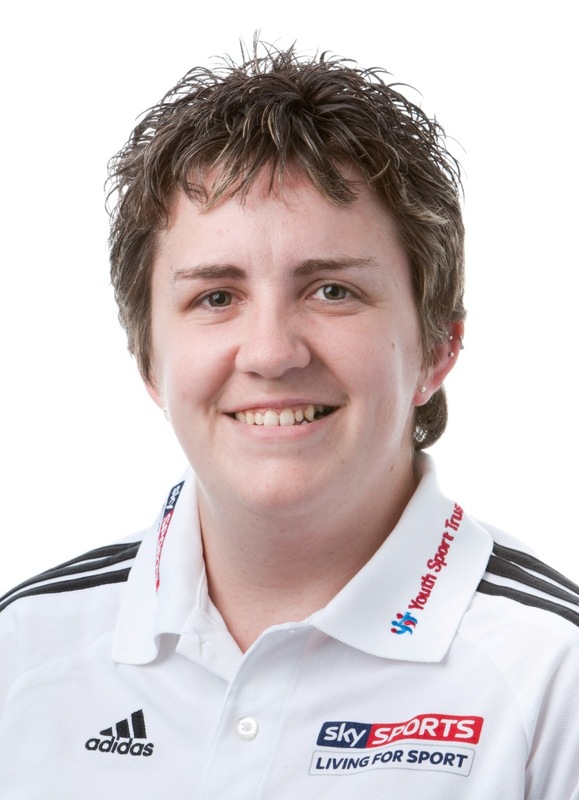 Mel Clarke is a Paralympic silver medallist archer and uses her inspirational sporting journey to inspire others as an Athlete Mentor for Sky Sports Living for Sport, a free secondary school initiative delivered in partnership with the Youth Sport Trust. Today marks one year to go until the Sochi 2014 Paralympic Winter Games, and having recently attended the 2013 IPC Alpine Skiing World Championships in La Molina, Spain, I have to say I cannot wait for them to start. 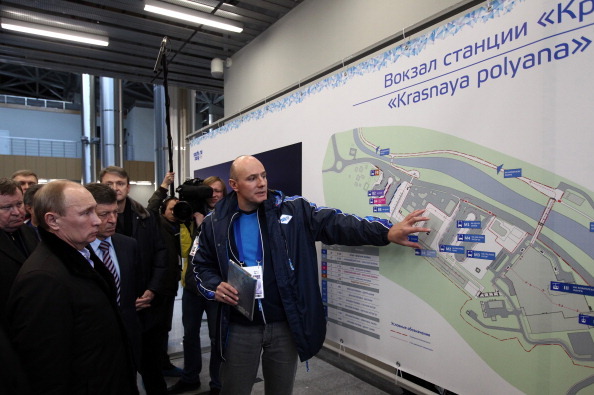 This will be Russia's first home Paralympic Games and I am confident that Sochi 2014 President Dmitry Chernyshenko and his team will be leaving no stone unturned in delivering the best Games they possibly can. They have a lot of work to undertake between now and March 7. 2014, when the Games begin, and I am sure that the ongoing test events will be a significant learning experience for all involved. As this is Russia's first Paralympics on home soil, I suspect the national team will go all out to win as many medals as possible. Quite simply they have the potential to be Russia's most successful team at any sporting event judging by recent results. In Nordic skiing, they are an absolute superpower. At the World Championships, which concluded on Tuesday (March 5) in Sollefteå, Sweden, they won 56 medals and claimed three times as many gold medals as their closest rivals Ukraine. The likes of Mikhalina Lysova, Roman Petushkov and Nikolay Polukhin were pretty much unbeatable and in Grigory Murygin they have an 18-year-old two-time world champion who may surprise a few in Sochi. In alpine skiing, Russia are also a force to be reckoned with having won 11 medals, including four gold, to finish third overall behind France and Austria at last week's World Championships. 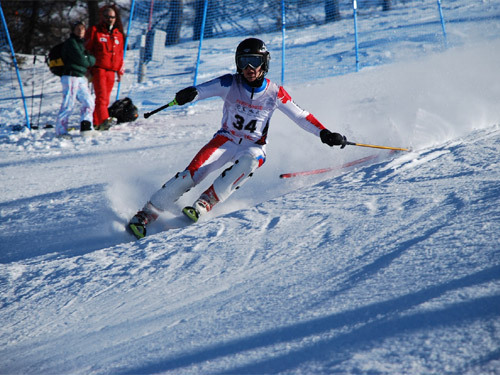 Visually impaired skier Alexandra Frantseva and her guide Pavel Zabotin proved a real talented combination in La Molina and, having won three world titles there, the duo will be confident of further success in 2014. Their rivalry with Slovakia's Henrieta Farkašová, who unfortunately injured herself in Spain, and her guide Natália Šubrtová, will certainly be one to look out for next year. The country also boasts a number of excellent young alpine athletes – none more so than 15-year-old prodigy Alexey Bugaev who won two silver medals in his first World Championships. Although they finished fifth at the recent World Wheelchair Curling World Championships in Sochi, Russia will still be a real medal threat next year having qualified as the world's second best team after winning the 2011 world title. Russia's ice sledge hockey team are also improving on a daily basis. Having only taken up the sport in 2010, the team won the 2012 World Championships B-Pool and it will be fascinating to see how they fair at April's World Championships A-Pool in Goyang, Japan. The only sport where Russia may not be a medal threat in Sochi is in the new alpine discipline of Para-snowboard, however I am sure the excitement of this sport making its Games debut will more than make up for this. History shows that home medal success at a Paralympic Games generates widespread media coverage and Russia should be no different. As shown in London, widespread positive media coverage, positioning medal-winning athletes as role models has the potential to change perceptions, shift attitudes and inspire a generation. 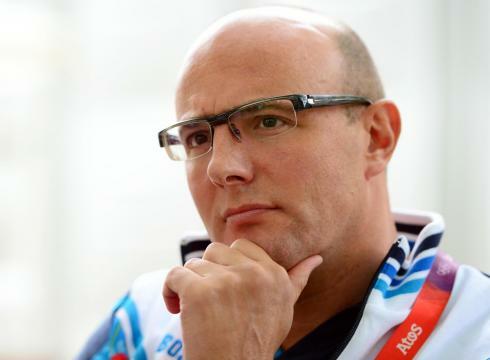 I know my good friend Chernyshenko has witnessed such results first hand now at a number of Paralympic Games and he will be determined to repeat such success in Sochi and across Russia. Initiatives such as the Paralympic Awareness Programme and award-winning accessibility map will go some way in delivering this. Next year's Games are also set to receive the broadest television coverage ever. 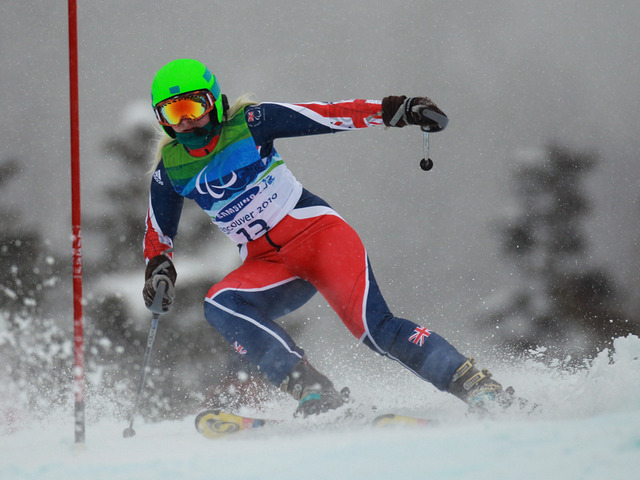 Recent TV deals with UK broadcaster Channel 4 and EBU (European Broadcasting Union) mean that TV pictures from the Games will be shown in more countries than any other Winter Paralympics. Whilst celebrating this, it must be remembered that the Winter Games are far smaller than those that take place in the summer. Whereas London boasted 4,237 athletes from 164 countries competing across 502 medal events in 20 sports, Sochi will feature a maximum of 692 athletes from 45 nations. They will contest 72 medal events in five sports. The challenge for Sochi 2014 now is not to try to emulate what happened in London six months ago, but to build on the success of Vancouver 2010, the best Winter Games to date. As with all our events, we have to continue moving forward and making progress. I hope in 12 months time in Sochi I can say afterwards that Russia's first Paralympic Games helped continue the exponential growth the Paralympic Movement has enjoyed since 1960. Enjoy celebrating one year to go! I have a confession to make. I am 34-years-old and I have never ever skied! Plans were afoot for me to ski for the first time this Sunday under the watchful eye of the wonderful and charismatic IPC Alpine Skiing Sport Technical Committee chair Sylvana Mestre, however the forecast for bad weather now means I may have to wait another 34-years until I don a pair of skis. Although I have never skied before, (the closest I've got is going for a meal at X-Scape near Leeds) it is not to say that I have no interest in skiing. I grew up watching the winter Olympics and the BBC Ski Sunday programme and marvelled at people hurtling themselves down hills at speeds faster than I could normally achieve on a busy English motorway. So this week has been a real eye opener for me attending the 2013 IPC Alpine Skiing World Championships in La Molina, Spain. Around 120 athletes from 28 countries are here taking part in what will be one of the last major international events ahead of the 2014 Paralympic Winter Games in Sochi, Russia. And before I go any further, I have to tell you this – I am quite simply in awe at the athletes taking part here. Following last summer's Paralympic Games, I left London hugely inspired by the abilities of athletes within the Paralympic Movement. They showed to the world that absolutely anything is possible. What I have witnessed in La Molina so far has taken this feeling to a whole new level. It has left me more than inspired, but totally and utterly amazed. Take visually impaired skiers for example. Some of them are unable to see a hand in front of their face, yet quite happily propel themselves down a hill, hitting speeds of 75 miles per hour (120km/h) with just a guide skiing in front of them telling them whether to turn left or right. Can you possibly imagine that? Now as I've already confessed, I'm no skier, but the prospect of walking down a street blindfolded with a friend telling me where to step is something I would totally dread. So to consider skiing down a 500 metres descent whilst negotiating gates, putting my absolute trust in a guide, fills me with nothing short of sheer panic and fear! Not only do I have huge respect for the skiers who put their trust in the hands of someone else, but I think the guides are absolutely immense. Just think of the mammoth responsibility they have. It is up to them to get their partner down the side of a mountain, from start to finish, in the fastest possible time. They do this knowing that just one wrong call, a slip or mix-up in knowing left from right, could be the difference between winning gold or silver, reaching the finishing line safely or crashing out. It's a huge responsibility and one that should not be taken lightly. Building that trust must take years and most of the visually impaired skiers have been with their guides for a long time. All of which makes British skier Jade Etherington's performance in the super-G even more remarkable. Jade has spent most of this season searching for a new guide and had only benefitted from a few practice sessions with John Clark acting as her guide before the two of them won World Championships bronze on Thursday. It's not just the visually impaired skiers who have impressed me so far, but so have the standing and sit skiers. To see athletes missing legs, arms or with some form or paralysis putting everything on the line to win gold is compelling viewing. 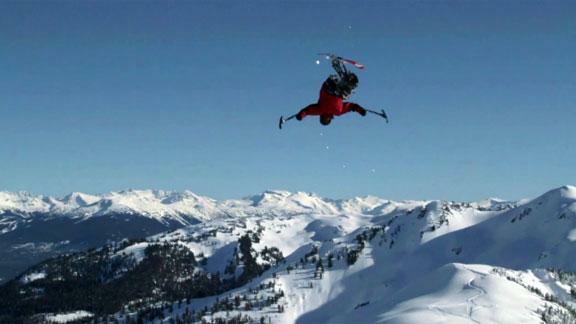 This is a sport that deserves a far greater profile and hopefully this will come with the Sochi 2014 Paralympic Winter Games. After watching two races in my time here, I fear I must label the sit skiers as totally crazy! The speed they come careering down the hill at is insane. It's pretty obvious to me that fear is a word they do not recognise or even acknowledge. Take Canada's Josh Dueck, who you may have seen last year when he made history by becoming the first person to complete a backflip on a sit-ski. On Wednesday shortly after crashing out of the downhill at high speed, Dueck tweeted: "It's a good day when you hang it all on the line in downhill – blow up – and live to tell the tale. It's all fun and games! #worldchamps"
The men's sit ski competition has been a thriller so far, with Thursday's super-G the best yet. The top three finishers were separated by just 0.2 seconds, whilst Japan's Taiki Morii snatched gold from France's Yohann Taberlet by just 0.01 seconds. One other pleasing aspect of the competition in La Molina is the age profile of the athletes. This is a sport with many youngsters coming through and it is important for the long-term development of the sport that teenagers and twenty-somethings get the opportunity to compete at the elite level. Finally, before I finish I must say that it's not just the skiers who I am in awe in La Molina but also the volunteers. Just like in London, which boasted the wonderful Games Makers, La Molina has its fair share of unpaid, unsung heroes who are working extremely hard behind the scenes ensuring that this World Championships runs smoothly. If it was not for volunteers, sport events like this one simply would not happen. 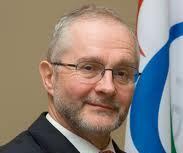 So on behalf of everyone at the International Paralympic Committee, thank you for the sensational job that you all do. 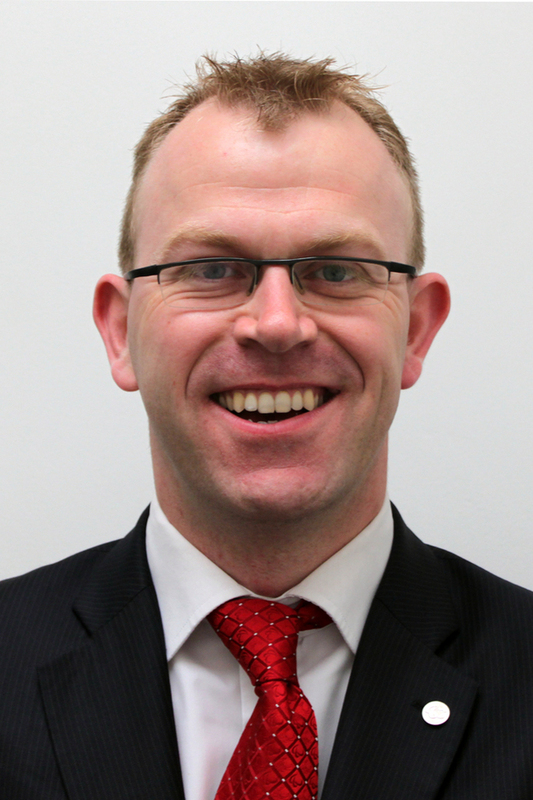 Craig Spence is the IPC director of media and communications. So the cat is out the bag...sort of. 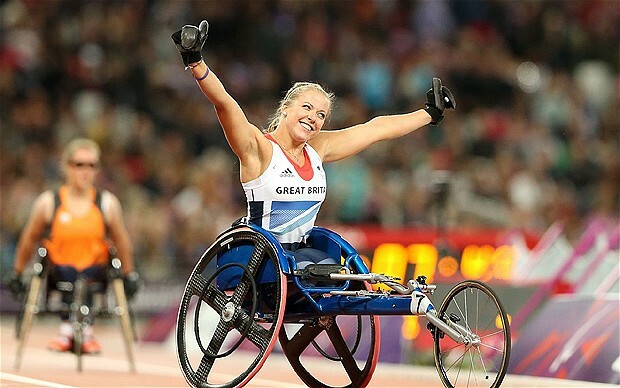 No sooner had reports emerged of a plan for the International Paralympic Committee (IPC) to create a Diamond League-style athletics series for the world's top disabled track and field stars than they were quickly cooled by the world governing body. "Following the success of London 2012, IPC Athletics is looking into how it can stage a number of high profile meetings to capitalise on increasing global interest and to create more competition opportunities for elite athletes," said a statement from the IPC director of communications Craig Spence. "However, this project is still very much in its infancy; absolutely nothing is agreed nor signed. At the moment we have a strong proposal and are having discussions with interested parties. To read that everything was agreed and signed in some media was a big surprise for everyone here at the global governing body of the sport. "In fact you could say some people are jumping the gun." Despite implying that we should proceed with caution on this issue, the IPC still made it clear that "high profile meetings" are definitely in the pipeline either this year or next. 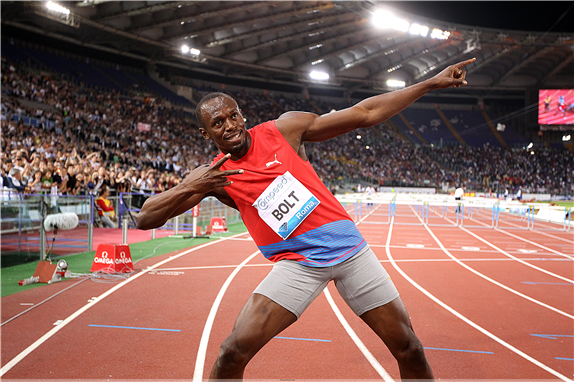 If the reports are to be believed then what is planned is a global series of meetings in the style of the International Association of Athletics Federations (IAAF) Diamond League that showcases the world's leading able-bodied athletes, such as Usain Bolt. It makes obvious sense for the IPC to look to capitalise on the success of London 2012 with a plan of this nature but in looking at it seriously we must be clear - London 2012 was no ordinary competition. Sell-out 80,000 crowds at the Olympic Stadium for virtually every Paralympic athletics session was truly something spectacular to behold and for all of us sitting there in the magnificent venue, it really was truly breath-taking. But from a hardened, cynical marketing point of view, Paralympic athletics cannot attract these sorts of crowds globally on a regular basis. Just over a year before the Paralympic Games got underway, I was in Christchurch, New Zealand, for the 2011 IPC World Athletics Championships. That event took place at the intimate Queen Elizabeth II Park Stadium, which has since had to be demolished since due to the terrible earthquake that hit the city shortly after the competition. There were just 25,000 seats at the venue but to be honest, only crowds of around 1,000 or so per day were turning up to see the action. This was even the case for the blue-ribbon 100 metre T43/44 final. That was a race featuring South Africa's Oscar Pistorius, America's Jerome Singleton and Britain's Jonnie Peacock, the same protagonists who lit up the Olympic Stadium and made 80,000 gasp in astonishment. But in Christchurch, there was little more than a light ripple of applause as Singleton dramatically beat Pistorius with an epic dive in one of the greatest races in the history of the event. The same is true of the annual BT Paralympic World Cup in Manchester, which I have attended for several years now. The competition is undoubtedly superb, and the wheelchair basketball matches are a particular fan-favourite. But the athletics event does lose just a little with huge rows of empty seats. This given the fact that many school children are usually shipped into the event free of charge. This isn't to say the plan couldn't work. What it needs mostly to succeed are the big stars turning up regularly. 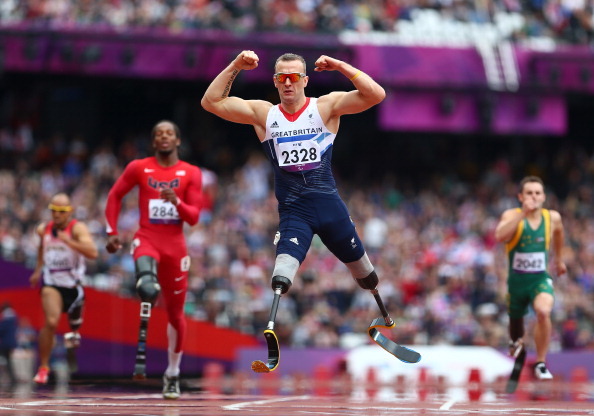 In the past, I've heard people call the Paralympics the "Oscar-show" in relation to Pistorius. This isn't necessarily a bad thing. Take a look at the able-bodied side and see Usain Bolt. He is the heart of athletics right now and if you take him away, you leave a major, major void in the sport. The same, to a degree, could be said of Lionel Messi in football, LeBron James in basketball or Floyd Mayweather in boxing. Sports do need their one superstar to be their global ambassador. 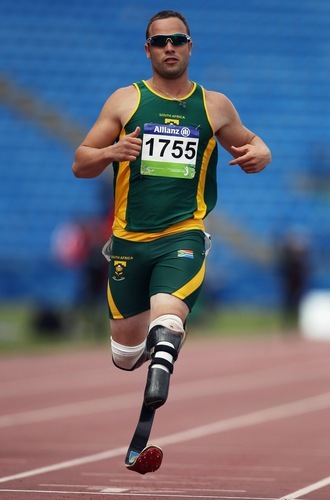 But with Pistorius in this new event, you also need Peacock, who appears to be emerging as the South Africa's heir apparent for the title of poster boy of the Paralympics. In addition, you need British wheelchair racing star Dave Weir, his Australian rival Kurt Fearnley, Ireland's visually impaired sprint star Jason Smyth; and you need them all competing regularly. Undoubtedly clever marketing teams will be working behind the scenes to make this a success, even if it isn't and instant success. 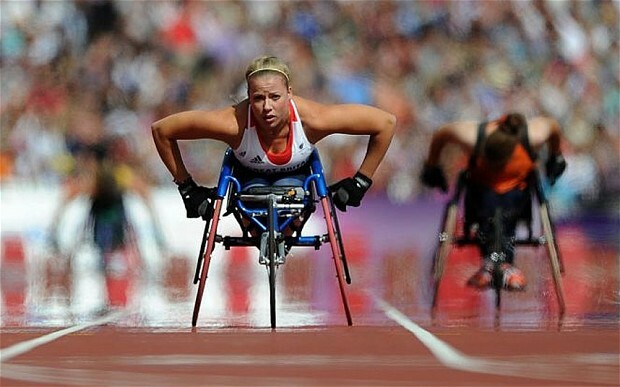 But although I would love to be proved wrong, this won't be the London 2012 Paralympic Games II. Last summer's Paralympics was unique, special and a privilege for all of us who were there to attend. But the sad truth is that it was so unbelievably brilliant that it will not be replicated for a long, long time. 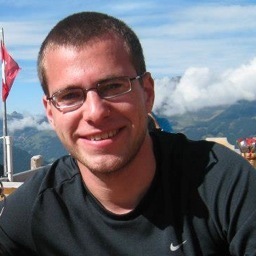 Tom Degun is a reporter for insidethegames. To follow him on Twitter click here. With the New Year's celebrations over and everybody getting back into the swing of things, it's time to make some Paralympic predictions for the upcoming year. I think we can agree 2012 will be an extremely tough year for the Paralympic Movement to follow up on, thanks to the London Games. But with the two largest summer sports - athletics and swimming - hosting World Championship events this year and all the winter sports taking centre stage prior to the Sochi 2014 Paralympic Winter Games, there certainly won't be any lulls. So without further ado, here are my 10 predictions for 2013. Note that I avoided making the obvious "13 picks for '13," because, yes, I am superstitious about numbers. At 31, Hannouni is still one of the world's best female visually impaired sprinters. 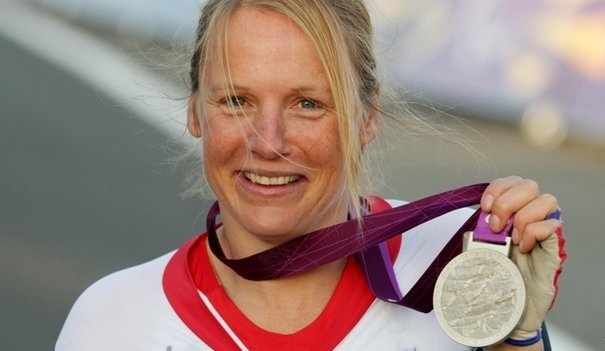 After a double-gold performance at London 2012 she pushed her Paralympic Games career medal count to 10. Look out this year, because the IPC Athletics World Championships are coming to her country in July, and there's no doubt she can be the event's poster girl. She's quick. She's personable. And she's charismatic. 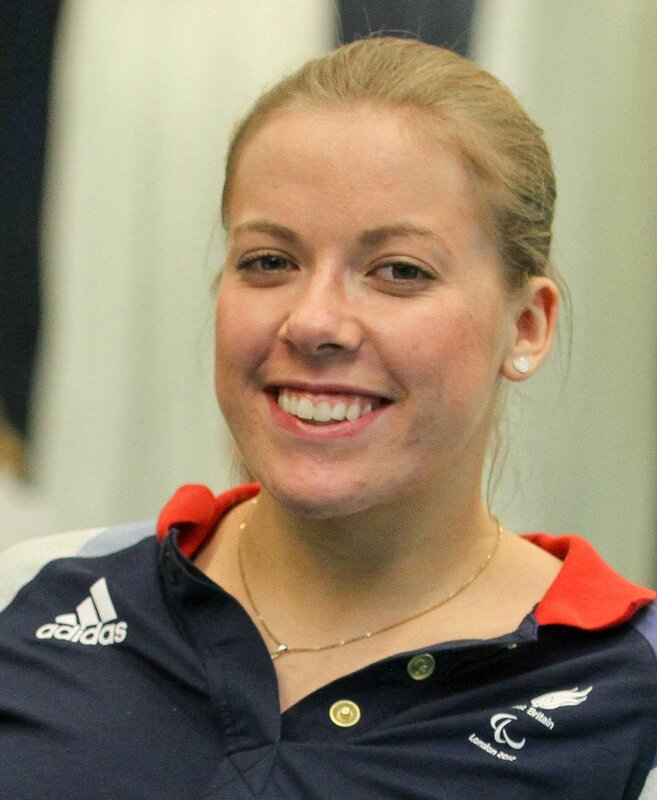 Freney topped the individual medal tally at London 2012 with eight golds, yet she did not receive as much media coverage as some of the other high-performing swimmers. That will change this year when Freney has another dominating performance at the Swimming World Championships in August, for which she started preparations just a couple short weeks after the Games. The Americans should be the favourites to win gold at April's 2013 IPC Ice Sledge Hockey A Pool World Championships in Korea, and with top veterans Taylor Chace, Alexi Salamone and Steve Cash returning, they should actually be even better than last year. I'm also going to be bold here and say Russia will medal at their first A Pool World Championships. When reading about this year's top Paralympic alpine skiers to watch, there's something about the Slovakians that intrigues me. I can't quite put my finger on it just yet, but they have the potential to dominate the slopes, and their athletes' resumes speak to that. In particular, Miroslav Haraus, Jakub Krako and Henrieta Farkasova. Krako and Farkasova each won three golds and a silver at the Vancouver 2010 Games, and should be favoured to win plenty of races this season, potentially even the IPC Alpine Skiing World Championships in February. Seriously, have you met Will Bayley or David Wetherill? Put together Bayley's inspirational silver-medal performance and Wetherill's wonder shot at London 2012, and that alone showcases the British table tennis squad's talent. The duo, along with teammates Ross Wilson and Aaron McKibbin, are genuinely hilarious guys as well and will become key faces propelling the Movement further into the mainstream in Great Britain. If it were up to me, they'd have their own talk show on Channel 4 by the end of the year. The heated discus F54 competition at London 2012 was overshadowed by the 100m T44 race, as both were held the same night. Campbell has now won the last two Paralympic golds in the event, but Greaves is still the defending world champion. 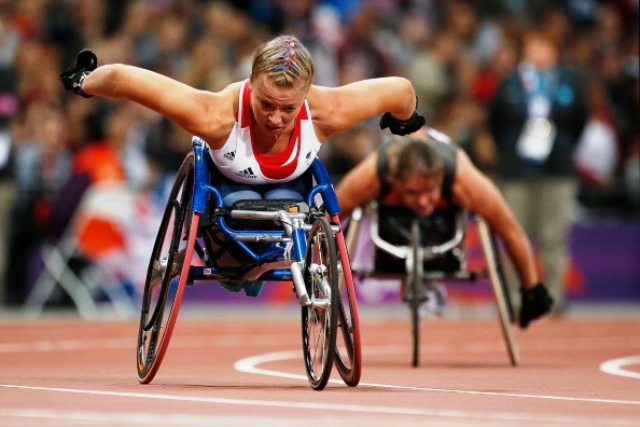 The rivalry will take centre stage at July's 2013 IPC Athletics World Championships in France, and honestly, it's anyone's gold to win. In years past, there have always been one or two teams that were clearly the world's best in women's wheelchair basketball. But now, it's anyone's game. Germany should be favoured to win this summer's European Championships in Frankfurt, but some players from their London 2012 gold-medal squad could opt to retire before then, leaving the door open for teams like the Netherlands and Great Britain to creep in. Australia, Canada and the USA all have the potential to dominate the game as well. With Esther Vergeer nearing the end of her career, there's a chance she could retire in the upcoming year. Either way, look for a whole bunch of contenders to step up their game on the women's side to fill Vergeer's void, including fellow Dutch players Aniek van Koot and Jiske Griffioen. On the men's side, Japan's Shingo Kunieda and France's Stephane Houdet will be challenged by young up-and-comers like Argentina's Gustavo Fernandez and Great Britain's Gordon Reid. Some of the most iconic Paralympic figures from last year come from archery, and they will certainly carry over their followings to November 2013, when the World Archery Para Championships are held in Thailand. Despite the retirement of Italy's Oscar de Pellegrini, Great Britain's Danielle Brown and USA's Matt Stutzman are sure to make plenty of headlines, as well as several other aspiring archers with inspirational stories. This is more of a wish than a prediction, but just go with it. Last year, I think we can agree Coldplay's "Paradise" became the song of the Paralympic Games, while Rihanna's "We Found Love" and Public Enemy's "Harder Than You Think" also stole the spotlight. In 2013, I'm secretly hoping a famous vocalist will put together an inspiring rap in the lead up to Sochi 2014. 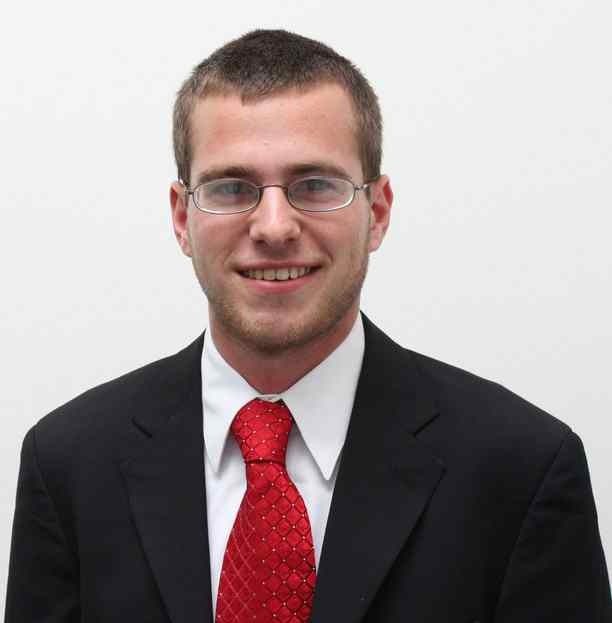 Stuart Lieberman is the IPC's editorial and social media co-ordinator. You can follow him on Twitter by clicking here. All the hype and build up to 2012, the Olympics, the Paralympics, and here we are about to head into 2013. What a year for sport and amazing to have played a small part in it. They turned out to be an interesting Championships, in the team sprint riding with Darren Kenny and Sarah Storey we suffered our first defeat since 2006, taking silver behind the Chinese, who had found an amazing man one that really did make the difference to their team. In the 4km pursuit, qualifying was interesting, as there was an official standing on the track in the back straight. Cue a restart, and I managed to post the third quickest time. In the bronze medal final I tried to learn from my pacing issues in qualifying. However after the first kilometre I could see my opponent and decided to chase him downrather than doing a full 4km. After five laps I'd caught and over taken Roberto Alcaide from Spain to take the bronze medal. In the kilo I managed to maintain my unbeaten record to take the 1km title in 1min 06.001sec. Not my best ride, actually the first time I've won at the worlds without breaking the world record, but still it was good enough to take my fifth consecutive world title and the coveted rainbow bands. So LA turned out to be a mixed bag of results, but I did get a full set of medals. After the World Championships it was back to training and preparations for the London Paralympics. Another visit to Majorca for another 10 day training camp kick started the final cycle off. It ended with me heading to the Tower of London for a bit of modelling and showing off the Adidas kit that all the GB athletes would be racing in at the home Games. In between all the training, with the build-up to the Games I ended up doing quite a bit of publicity, the most fun was the three part Sainsbury's short films and the Paralympic promo video for Channel 4. Some of the shots in the films were pretty cool and due to the way they were filmed, they gave you an insight into track cycling that you just don't normally see. With the year flying by, the Olympics came and went, and before you knew it, I was at the holding camp in Newport, putting the final touches to my preparations for London. Things were looking good, as I PB'd in pretty much every session on the holding camp, just one little hiccup was a crash on day two, but I survived with just a friction burn on my hip and elbow. A massive relief considering I hit the deck at 75 kilometres per hour. Then it was time to race, with the kilo up first I was ready to go, with all my competitors going before me I was feeling really confident as I stepped on the track, especially as the fastest time was still half a second slower than my Beijing winning time and still some 9/10ths of a second slower than my world record, and I was going faster than ever now. I just needed to race at my best and that was it, unfortunately it all started to go wrong in a big way! I made my start just as I have countless times in training, however something was wrong, the gate held me, the next thing I know I'm wheel spinning and going sideways. Not ideal. So I stuck my hand up, and called for a mishap, pulled off the track and got ready to take to the start again. However that was it, I was unfairly denied a second start, and that was it, a big fat DNF (Did Not Finish) next to me name. What followed wasn't my proudest moment, but it will go down in Paralympic history in the same way as John McEnroe's outburst at Wimbledon in 1981. I basically threw all the toys out of my pram at anybody who would listen, in denial that I wouldn't be defending my kilo title, and was removed from the Velodrome. Knowing I was out of order I wanted to apologise and try to put things right, at least to all the kids that had witnessed my foul mouthed tirade. So a little later I came back out to apologise to everyone in the crowd, then to the sponsors and governing bodies and organisers in a press conference and media scrum. Then finally I headed back to the Village as I had to compose myself and come back and race the 4km pursuit the following day. 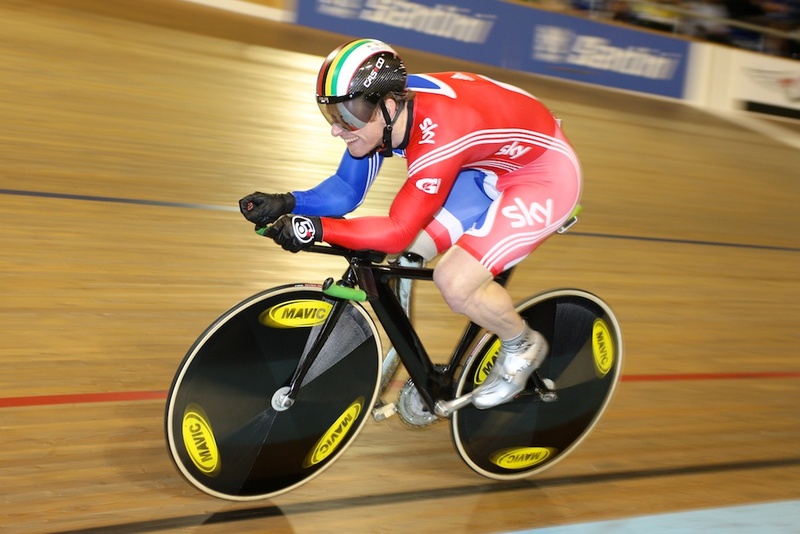 With the crowd behind me I ripped around the Velodrome in qualifying to a new British record, and third best time. In the final I made short work of my opponent and took bronze with an overtake in five laps. I covered the first kilometres quicker than the winning time from the previous day. Considering the disappointment the day before, and the fact I hadn't focussed on the pursuit as I placed all my eggs in the kilo basket, a bronze medal really did feel like winning gold. Having watched the footage back, it looks like I started the tiniest of fraction too early hence the gate held me when I pulled forward. Unfortunately though, the false start wasn't called by the commissaires, so I didn't get the immediate restart the rules state. London will always be memorable for me for some amazing highs and some equally amazing lows, but I'm glad I can say I was there and I won a medal in front of the best and noisiest crowd anyone can ask for. My racing year finished with a few more races on the track, a bronze medal in the team sprint at the nationals, a second place in the flying lap at the Revolution track series, and in my final race of 2012, a win in the 10 mile scratch race in the final round of the MRTL Premier Division track league. 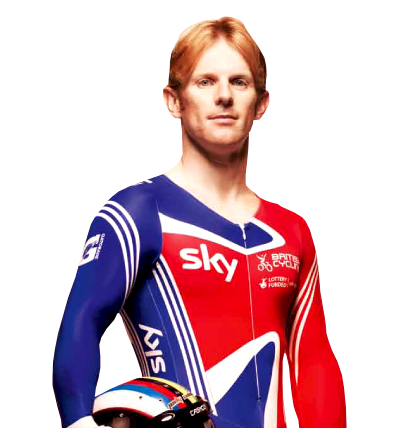 So 2013 will be a really important year for training, as I plan my revenge in Rio. 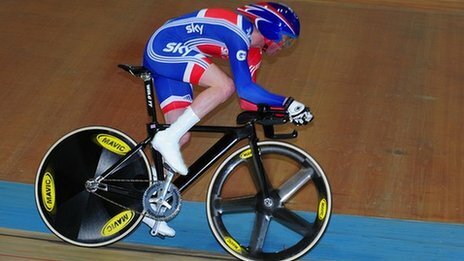 On the way to 2016 I have also set myself the ambitious target of riding for England at the Commonwealth Games in Glasgow in 2014. So the hard work starts again, and my motivation is sky high. Thanks to all my family, friends and supporters and all my sponsors.